XCLR is now available on Switch, a token exchange service. 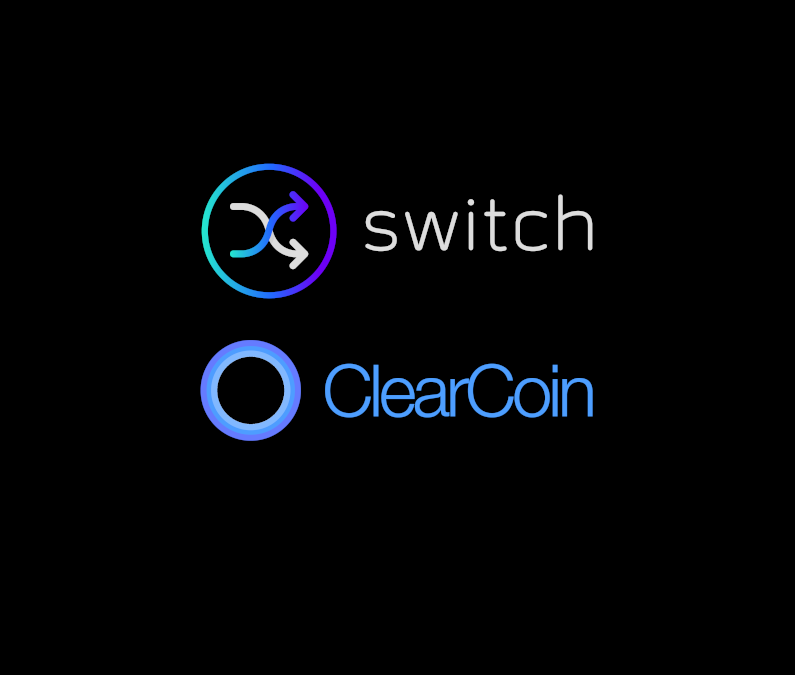 Switch uses a seamless method of exchange when converting one token into another with over 100 total tokens available. Other tokens listed on Switch include Ethereum (ETH), Binance Coin (BNB), Bancor (BNT), and many more. Switch has an easy to use user interface with transaction times that average a few minutes. Switch’s conversion service does not require a user to keep their tokens or coins stored on their platform. Users are able to use their own wallet addresses when interacting with the service. The service has been extended to allow users to buy gift cards or donate to charities. The Switch (ESH) token is native to its platform. At this time, users can find XCLR under the Receive section of Switch’s home page. As liquidity increases, XCLR would become available on the Deposit section on the home page. The Switch service has recently created SwitchDEX, a decentralized exchange platform. XCLR is scheduled to be added to SwitchDEX in the coming days. When the pair becomes available, it will be linked from our full list of exchange services. As with any new listing, please contact our main customer support email help@clearcoin.co if you have any questions about the service.